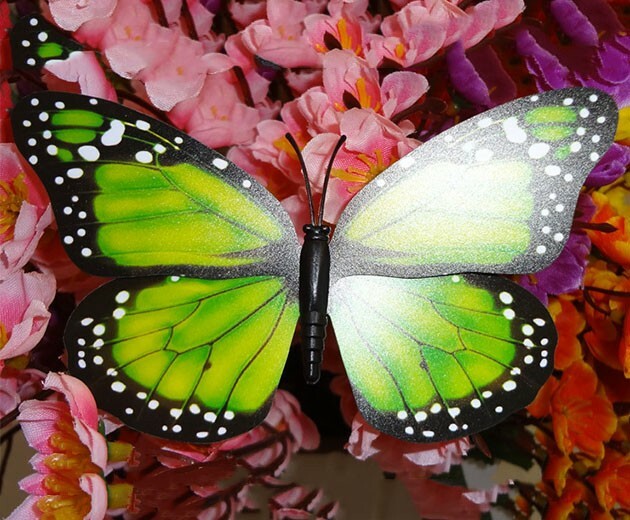 Danaus Plexippus is one of the most well-known butterflies in North America. 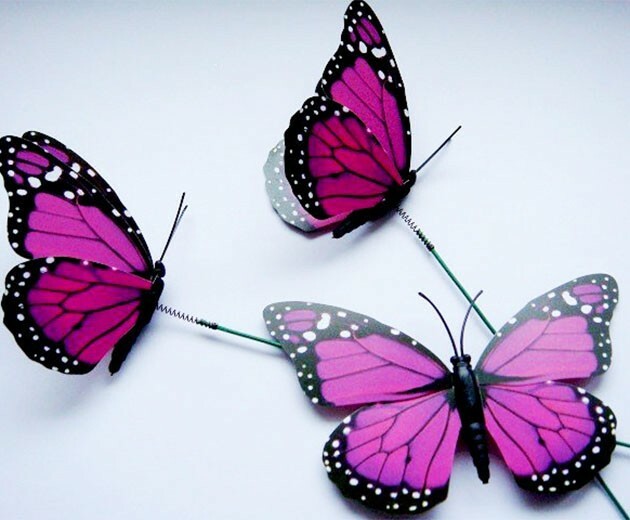 This series is modeled with Danaus Plexippus butterfly. 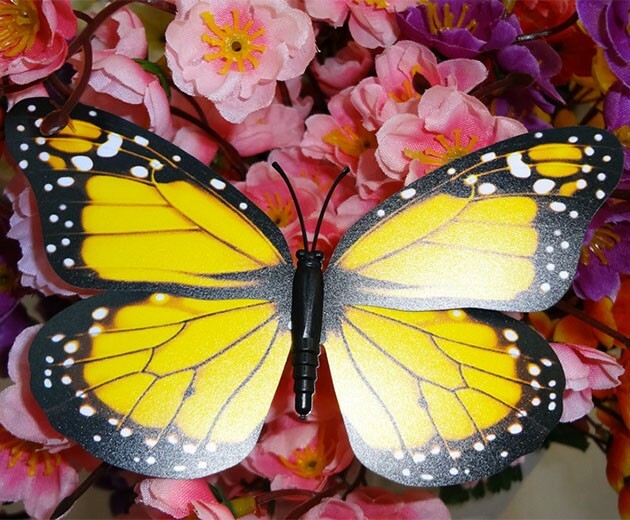 Danaus Plexippus is one of the most well-known butterflies in North America. 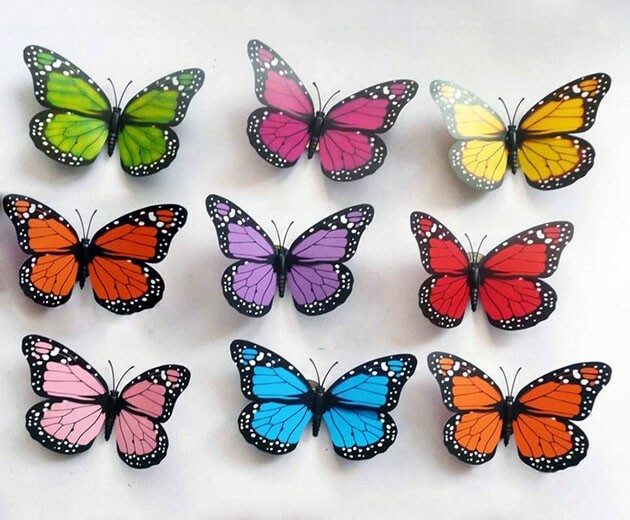 This series is modeled with Danaus Plexippus butterfly. 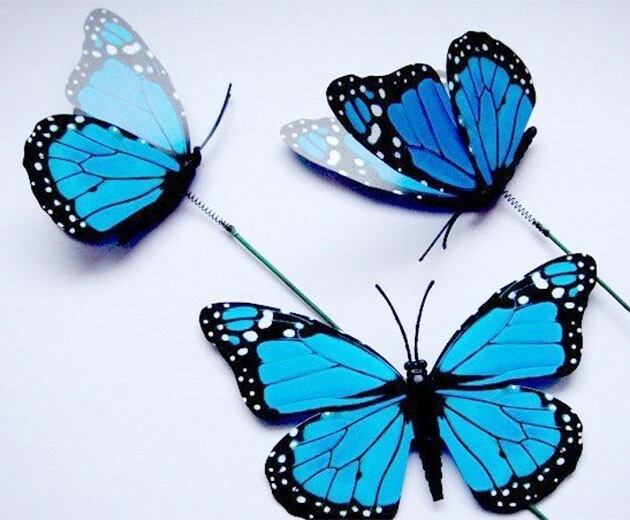 Butterflies are package flat and become 3D when wings are folded, you can easy to fold it as you like to make a 3D effect. The length of expand wings is about 12 cm. 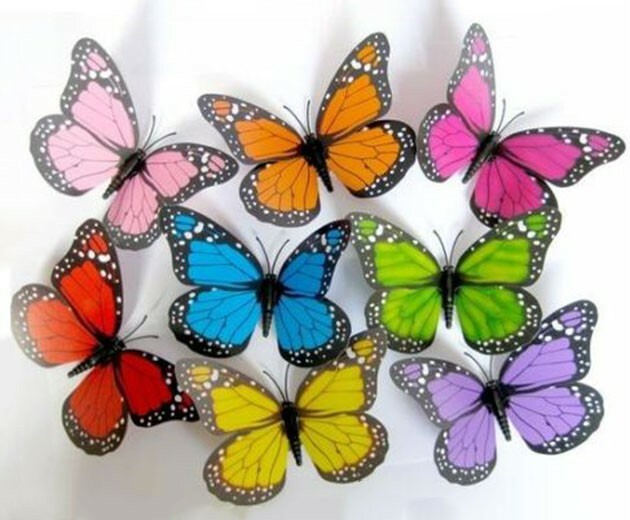 Realistic and colorful. 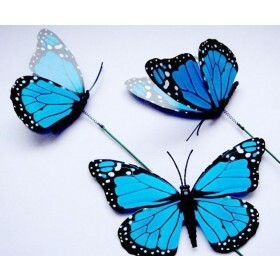 This butterfliy is comes with a 25cm iron wire under the butterfly's abdomen. 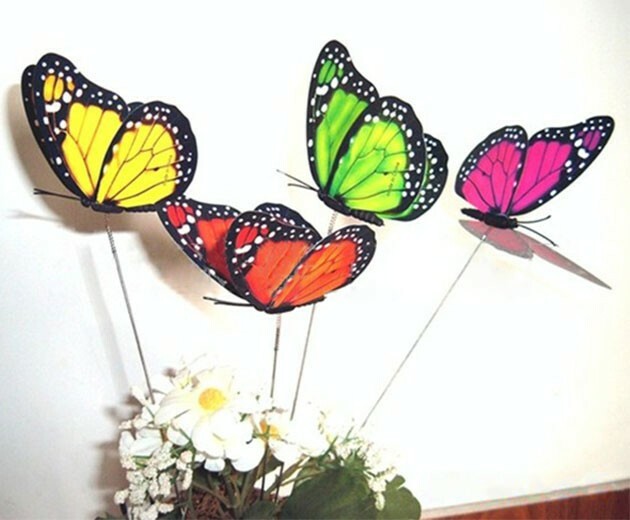 It is easy to make you do the flower arrangement or many other things. Come on! 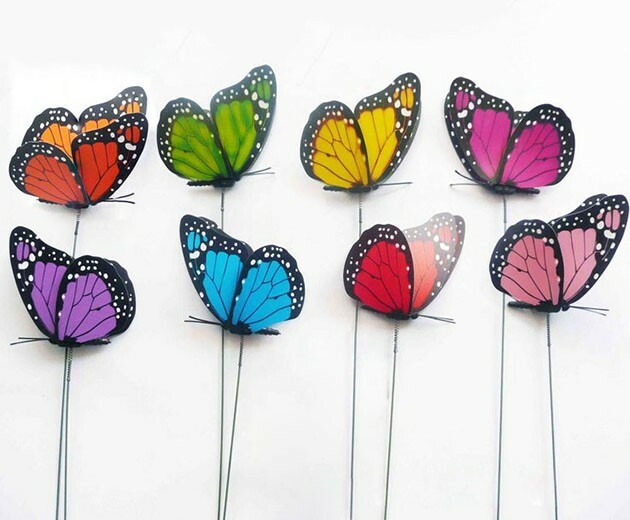 Decor your room with so much beautiful butterflies. 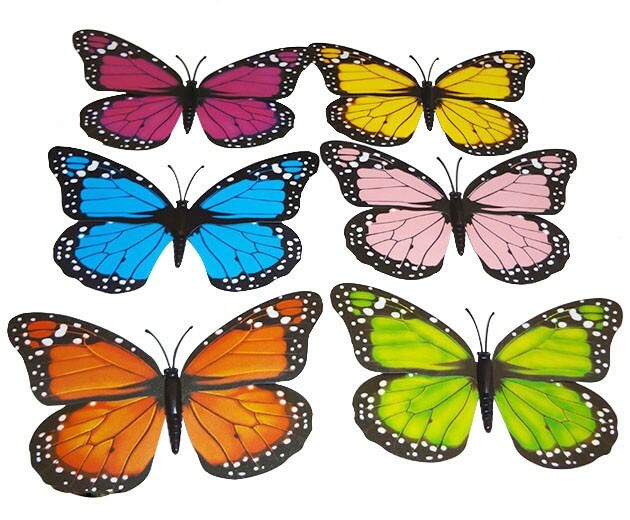 Can also be used for home or office decoration, wedding, parties, cake decorating, gifts etc. (Note: Due to the difference between different monitors, the picture may not reflect the actual color of the item.